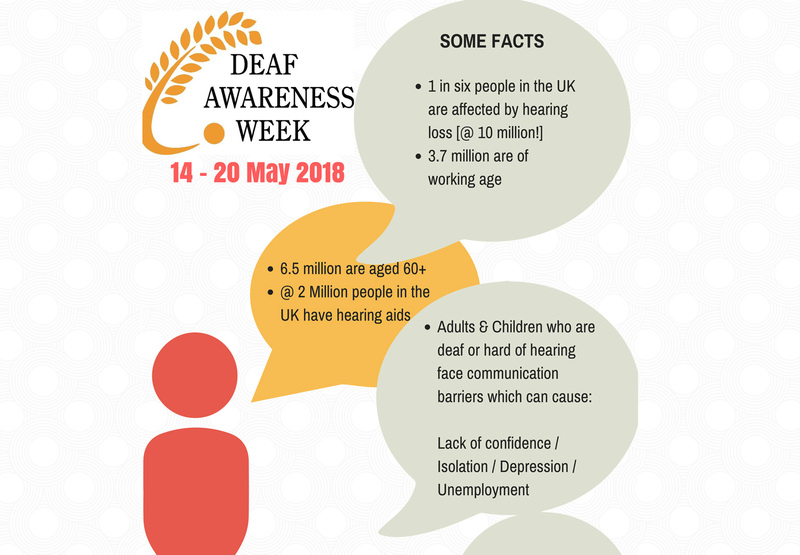 This week we’re celebrating Deaf Awareness Week (14-20th May). There are approximately 10 million people in the UK with hearing loss (according to UK Council on Deafness), that’s 1 in 6 of the population! Living in a predominately hearing world, it can be challenging for D/deaf people. It’s not easy living with an invisible disability and people don’t always understand what it’s like being deaf. Some think deafness means you can’t hear at all. Actually, it’s a very broad spectrum with different levels of hearing loss. Every D/deaf person is unique. They have their own ways of communicating, there are different hearing technologies to help deaf people hear, and some who don’t use any. It affects anyone, not just people of old age and there are many different causes. We hear stories all the time of incidents involving D/deaf and hearing people. A lot of it is communication barriers and a lack of deaf awareness. Sharing communication tips on social media… like these ones! We’re not aliens! We’re just like you, except we can’t hear very well. They may not hear you approaching them. Either tap them gently on the shoulder or stand in front of them. Not all deaf people use Sign Language, some speak, lipread, others use Sign Language, some use a mixture! Avoid over-enunciating or shouting! Try not to cover your mouth and face them when speaking. If they ask you to repeat, please do! Please don’t say ‘I’ll tell you later’, or ‘it doesn’t matter’… it does! We’d like to know… Maybe say it in a different way. Try writing it down or typing on your phone, we’ll get there! Great tips. I will share your post on my page.